The subtle changes happening over the course of long periods of time can be understood via persistent work, trial and error, and through broad observation and thought combining various disciplines. Forest-Climate-Time gives the floor to the explorers of climates, life and time, for those who approach their research topics from multiple angles. Neither subjects nor viewpoints are tied to certain disciplines or species. 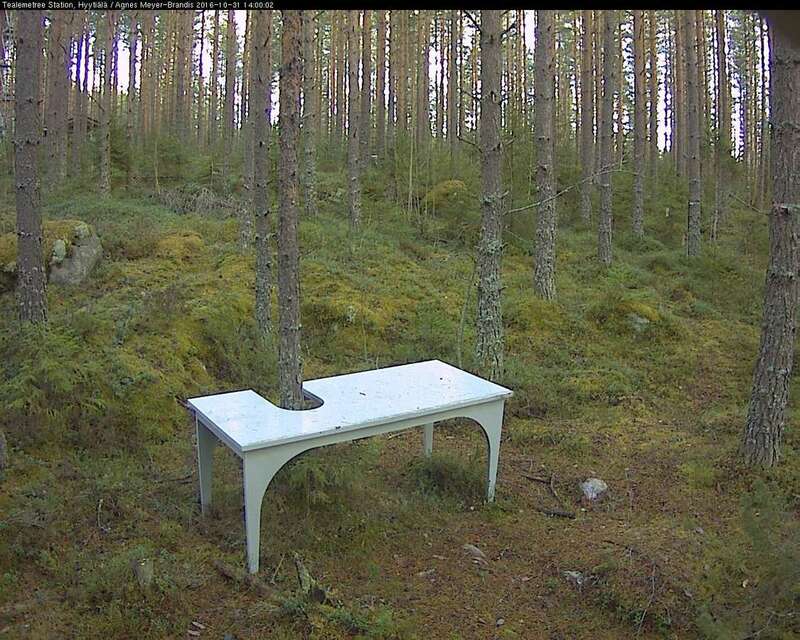 Instead, we look for encounters and interplay between sciences, arts, people, trees and other organisms. The event is realised by Climate Whirl team. The guests are academy professor Timo Vesala (University of Helsinki), artist Agnes Meyer-Brandis (DE), filmmaker Lotta Petronella, historian Laura Hollsten (Åbo Akademi), professor emeritus Ilppo Vuorinen (University of Turku), sound artist Lau Nau (FI), artist group IC-98 (FI), professor emeritus of Environmental Politics Yrjö Haila (University of Tampere). Forest Cocktail by chef Sami Tallberg. The workshops are lead by forest researchers Kourosh Kabiri, Janne Korhonen (University of Helsinki) and artist Mari Keski-Korsu(FI). The program is curated by Ulla Taipale, and, supported by Kone Foundation and the Goethe-Institut Finnland.